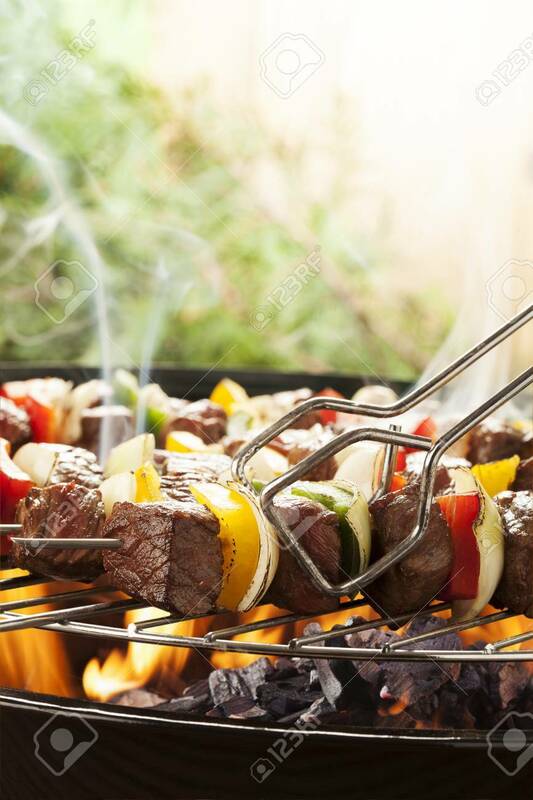 Grilled Beef Skewers With Onions And Peppers Color. Banco De Imagens Royalty Free, Ilustrações, Imagens E Banco De Imagens.. Image 37877166.